Archer is going to space! FXX just released the premiere date and a new trailer for the TV show’s 10th season. Titled 1999, the new season will see the gang travel to deep space as crew members of the “M/V Seamus salvage ship.” The voice cast includes H. Jon Benjamin, Aisha Tyler, Chris Parnell, Jessica Walter, and Amber Nash. Season 10 of Archer premieres on FXX on May 29th at 10 p.m. ET/PT. LOS ANGELES, April 15, 2019 – FXX has set the premiere date for the 10th season of the Emmy(R) Award-winning animated comedy series Archer, it was announced today by Chuck Saftler, President, Program Strategy and COO, FX Networks. Archer: 1999 will debut Wednesday, May 29 at 10 p.m. ET/PT on FXX. What do you think? Are you a fan of Archer? Are you excited for the new season? 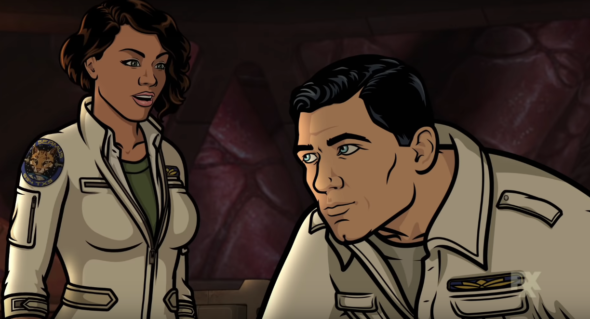 More about: Archer, Archer: canceled or renewed?, FXX TV shows: canceled or renewed? is this the last season ? ?